About Go Skate Skateboard Shop in Essex. 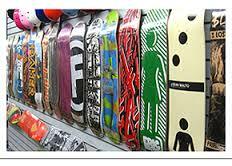 At Go Skate Skateboard Shop, we provide honest, reliable and fast shipping. We use either USPS Priority Mail or Fedex Ground or to ship your orders within 24-48 hours. We process your orders between 8am and 4pm EST, excluding weekends and holidays. Please note that UPS does not deliver packages on weekends or holidays. In 2013, Go Skate’s Shop performed over 5,000 lessons and over 25 camps in MT, Houston, Carlsbad , Venice Beach , Chicago, New York City, DC, Essex and more. Go Skate’s instruction is customized and starts each student with the basics of transportation, pushing, and turning. At intermediate and advanced levels, Go Skate teaches flip tricks, rails, and full vert. 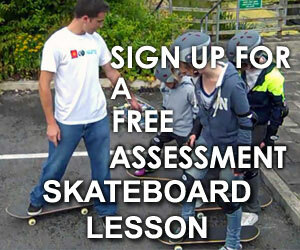 GoSkate.com created of one of the first nationwide certifications for skateboard instruction. A system that tests trainers based on their knowledge. After certification, all instructors are trained and given a syllabus to instruct their student. Over 2500 instructors have become mobile instructors . Instructors in 2012 have included Chad Fernandez, Chris Dobstaff, and Jason Morrisette.